I might have said this here before, but anyone who was ever round to our house in Cardiff to eat was more than likely played Sidestepper on a repeated basis. More Grip was one of those Colombian records that managed to find its way across the Atlantic into our CD player, and then rarely left it. 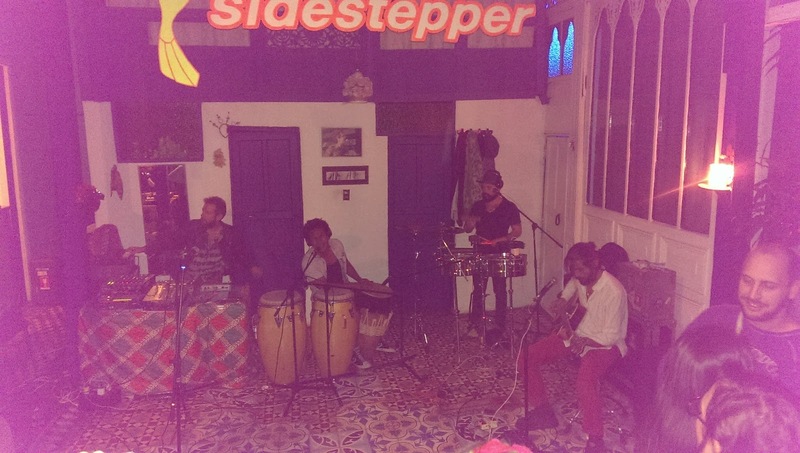 The story behind the formation of Sidestepper is a testament to cultural cross-fertilization. The legendary Colombian folk singer Totó la Momposina was in Real World Studios recording her landmark album La Candela Viva. There she met Richard Blair, an engineer in the studios. 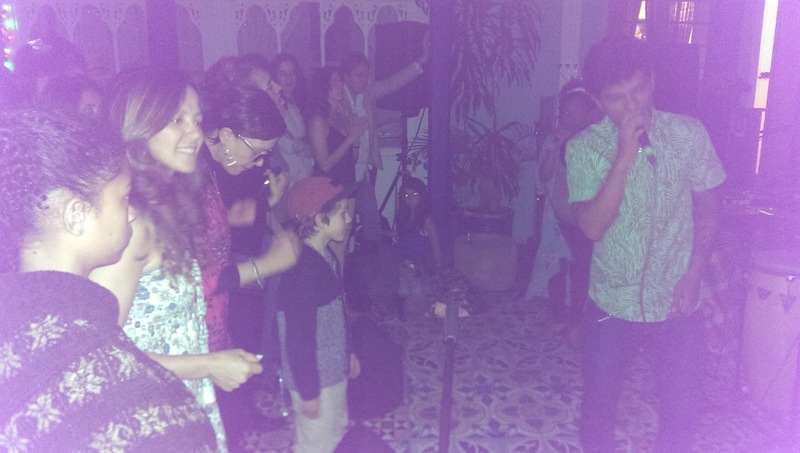 Blair was seduced by the sounds of Totó's band, and subsequently journeyed to Colombia for a couple of weeks to find out more about the musical background. That was in 1992, and fortunately he's still here! 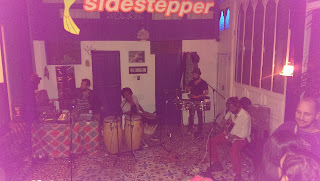 In between producing many of the seminal works of recent Colombian music (spanning quite a variety of genres), he launched Sidestepper, a shifting collective of musicians that has seen some of the biggest names in the local music scene pass through its ranks. The project seemed to have run out of steam, given that the last album was released in 2008, but just when you thought it was safe to unplug the sound system, they're back. 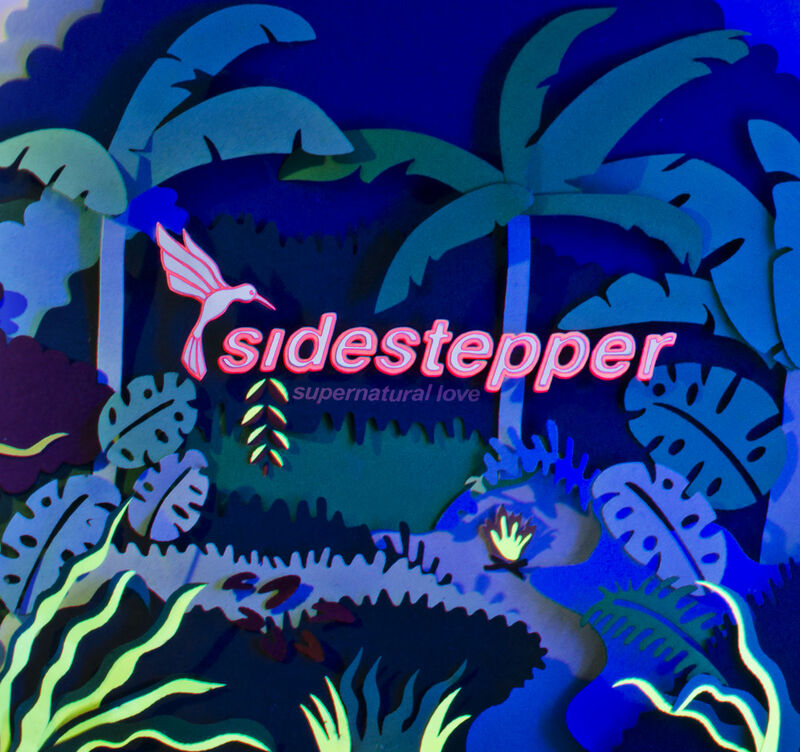 Released only last month, "Supernatural Love" is the first Sidestepper record for nearly 8 years, but it doesn't disappoint. 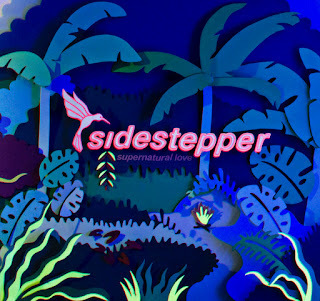 I only got to see Sidestepper for the first time live before Xmas, and one of the things that hit me was that as soon as they started to play, the faces of everyone in the audience lit up with big smiles. The classic songs are still stonkers, and the new songs are a delight. This record has a happy vibe that borders on the unreasonable - at times it come across as so exuberantly carefree that you wonder how they get away with it. Check out the whistling that runs through "On The Line". But the song that takes the prize for happy music is "Come See Us Play", with jaunty pipes riffing through the verse, while the voice of Erika Muñoz drips honey as she invites you come and watch them play, play like children. I defy you to stay grumpy while you listen to this. I can't, and I've had a lifetime's practice at being grumpy. The band launched the album with the most successful Colombian crowd-funding campaign to date, on the Uonset platform, which saw me making my first every foray into the world of crowdfunding to buy tickets for the launch party. They let children in. How cool was that? As soon as they started to play, Oisin elbowed his way up the front and danced his little socks off.